One of the sons of Tanna Jose b. Ḥalafta. His name has been transmitted in the most varying forms: "Awradimus" ( ), "Abirodimus" ( ) "Abdimus" ( ), and "Wradimus" ( ). As a basic form Bacher assumes "Eurydemus" (compare the Biblical ), a name which occurs in Herodotus. Levy ("Neuhebr. Wörterb." i. 505a) and Kohut ("Aruch Completum," iii. 257b), on the other hand, favor the name "Eudaimon." 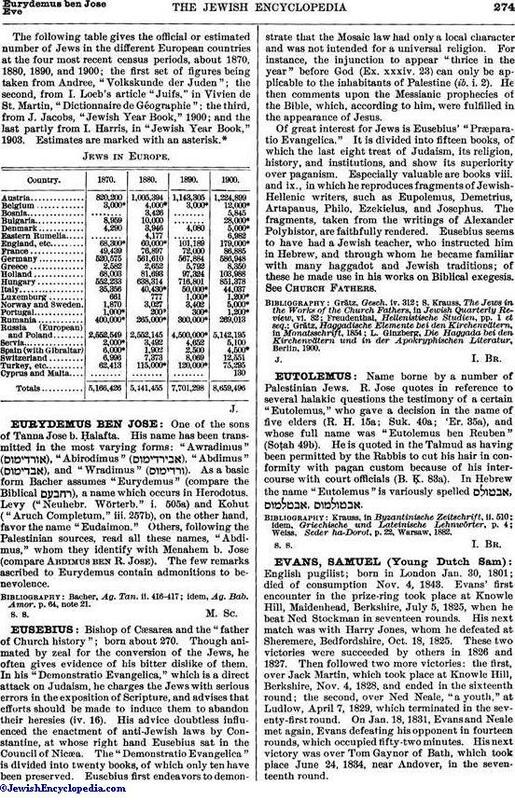 Others, following the Palestinian sources, read all these names, "Abdimus," whom they identify with Menahem b. Jose (compare Abdimus ben R. Jose). The few remarks ascribed to Eurydemus contain admonitions to benevolence. idem, Ag. Bab. Amor. p. 64, note 21.